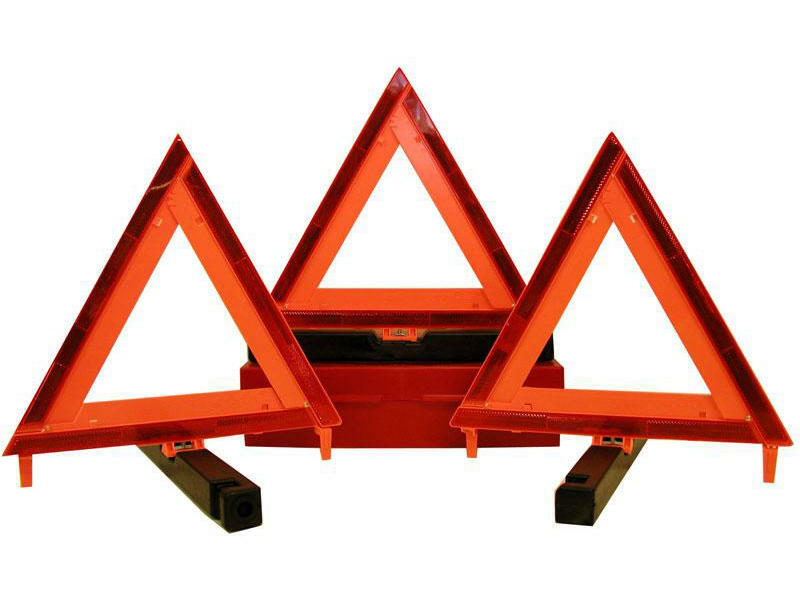 3 bright fluorescent orange warning triangles packaged in a sturdy corrosion-proof storage box. Triangles measure 17-3/4 inches wide, 16-5/8 inches high. Box measures 20 x 5 x 5 inches.